To The Batpoles! Batman 1966: #071 Batman ’49: So bad, it….. might not be bad? #071 Batman ’49: So bad, it….. might not be bad? 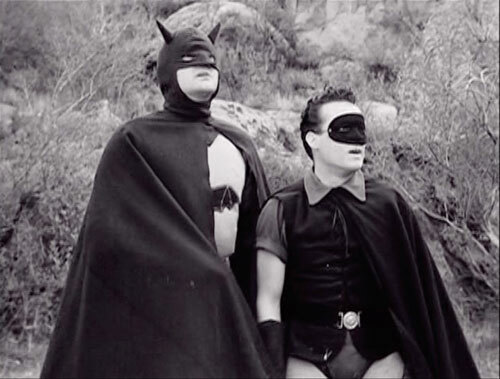 In 1949, six years after the wartime Batman serial, Columbia Pictures tried again with New Adventures of Batman and Robin the Boy Wonder, with a completely new cast and somewhat changed bat-tableau. Typical of that era's serials, the production values are cheap, the script is full of illogical behavior and red-herring "clues", and the acting is something well short of Olivier. But it's instructive in how 1940s entertainment was made for an audience of nine-year-olds with no access to a "rewind" button. But was the '49 serial a major source of inspiration for the '66 TV series? We examine the evidence, in as much context as we can muster, and then we read your mail!